There’s about to be a whole lot of money spent at Royal Caribbean HQ, as the cruise line today announced a series of improvements to their ships and services that will cost in excess of a billion dollars. 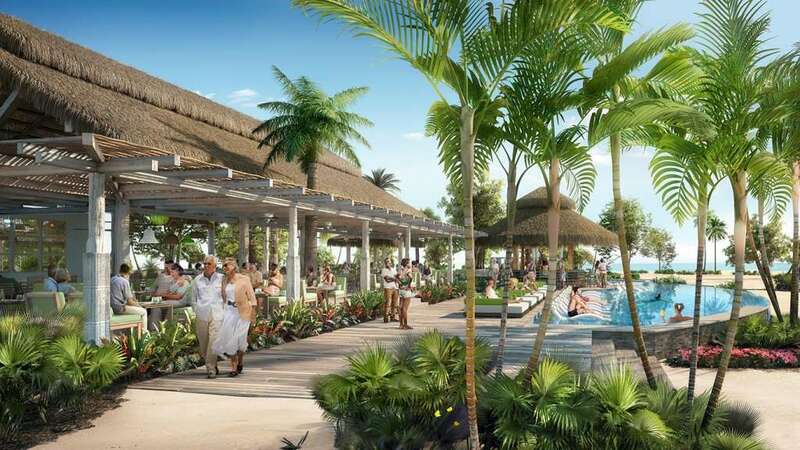 The headline announcement is the $200m renovation of Royal Caribbean’s existing private island, CocoCay, as part of their new Perfect Day Island Collection – a series of exclusive private island destinations around the world. Perfect Day at CocoCay will be the first in this collection and will see a range of new features brought in to entice families and younger passengers to cruise with Royal Caribbean, such as the Thrill Waterpark which has 13 different slides including the 135ft tall Daredevil’s Peak which Royal Caribbean believes will be the highest in North America, they also claim to have the Caribbean’s largest freshwater pool in the form of Oasis Lagoon, and there’s a 1,600ft zip line that criss-crosses the island for all you adrenaline junkies to enjoy. There will also be plenty of different beaches, clubs and sports activities to ensure everyone in the family is kept entertained. 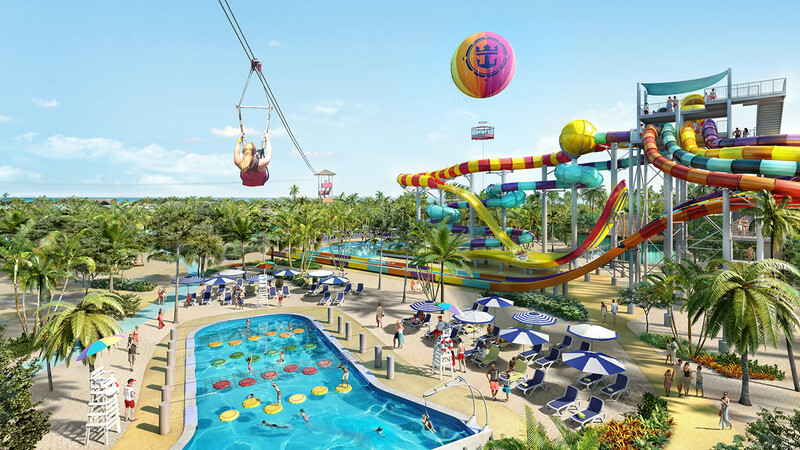 Perfect Day at CocoCay will be available to guests departing from the US states of New York, Maryland and Florida. The island transformation will roll out in phases beginning September 2018 with the completion of a new pier, and by spring 2019 the majority of the island’s experiences will be open. “It’s true that our ships are technological and engineering marvels in their own right and offer a multitude of unexpected experiences; but our destinations are an equally important part of the cruise holiday,” said Michael Bayley, President and CEO, Royal Caribbean International. Additional Perfect Day Island Collection destinations in Asia, Australia and the Caribbean will be announced at a later date. Further announcements include the rolling out of Royal Amplified; a modernisation effort that will span ten ships in the next four years for a figure estimated at $900m – with Independence of the Seas first up to undergo the renovations. The programme promises to touch on every facet of the guest experience and will include new nightlife concepts, experiential dining, specialised pool spaces and new attractions like Sky Pad, where up to four guests will be able to bounce around on trampolines at any one time while wearing a bungee harness and a virtual reality headset, bringing guests a taste of some exotic locations without leaving the ship! Finally, in a move to attract younger passengers who are thought to enjoy shorter, more frequent breaks away, there is a planned $90m modernisation of Mariner of the Seas, which will start offering short Caribbean getaways. The modernisation will include much of the same features introduced through Royal Amplified, as well as retro tiki-chic lounge The Bamboo Room, Playmakers Sports Bar & Arcade, and a glow-in-the-dark laser tag experience called Battle for Planet Z. Sister ship, Navigator of the Seas, will follow in 2019 in offering short Caribbean escapes. And, of course, both ships will call for a Perfect Day at CocoCay.